In many parts of North America, bears getting into trash is a real problem — and not just because the bears can make a mess! Without a bear-resistant trash/waste management system in place, it can become an issue. If that happens, there are very real health implications for both bear and community. When a bear comes in contact with human food, they run the risk of growing dependent on us for food. That dependency then means that a bear grows less afraid to enter camping areas and, ultimately, residential communities. The end result could end in tragedy — for a human family and for the bear. A properly designed receptacle will discourage this type of behavior. Could you imagine waking up to that? What if your child or pet stumbled upon a similar scene? Once a bear gets a taste of human garbage – a box of stale doughnuts, say, or the leftovers from Thanksgiving supper – it will routinely approach communities and other developed areas in search of food. 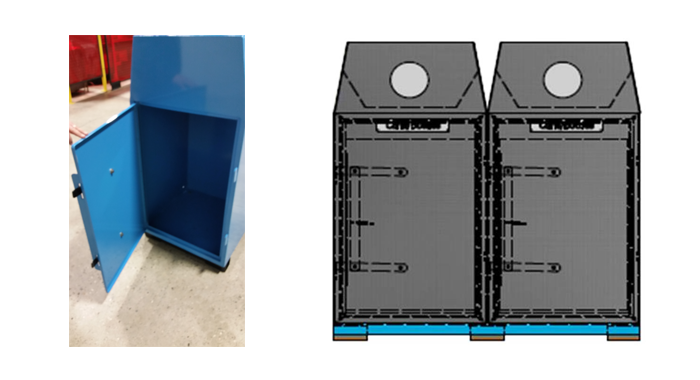 We manufacture a modular bear-resistant trash receptacle and recycle bin that keeps bears out of the trash. This design also provides many other benefits and you can pick exactly the design to fit your needs. 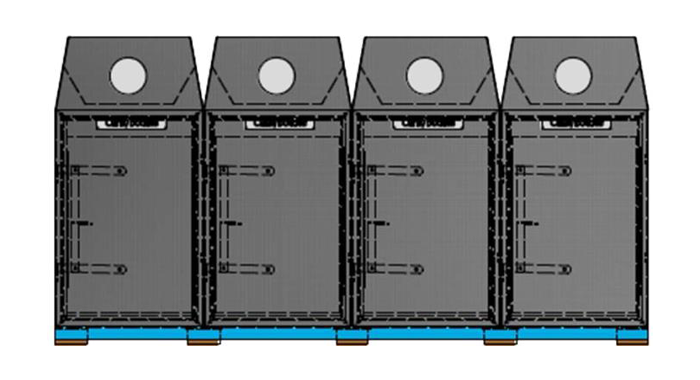 Because the modular units come in individual sections, you can choose a single receptacle and keep adding recycle bins to the configuration. 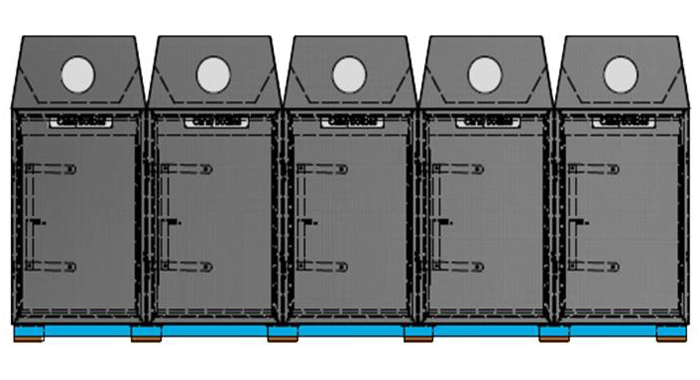 Up to five (5) bins can fasten together. • Extremely versatile — only buy what you need for your site. • If damaged, you need replace or repair only the section damaged. • Add as many of any one modular as need (e.g., trash, trash, cans & bottles and plastic). • Color code each module to for easy identification. 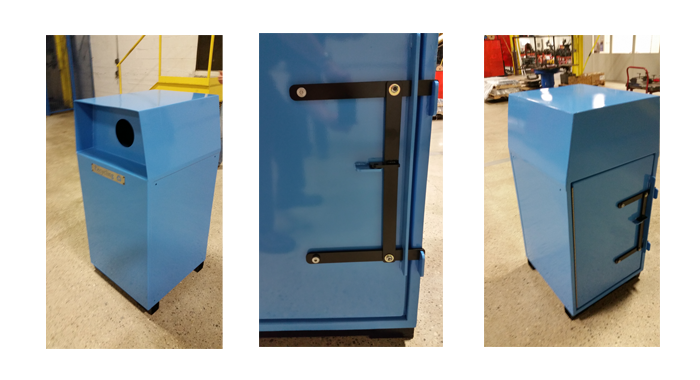 Each unit has a heavy-duty double door latch, easily located in the back, and sandblasted to a smooth, shiny finish. The receptacles are then painted with our OCC zinc advantage paint system, a unique zinc-enriched epoxy powder coat. Graffiti-repellent. Scratch-resistant. Ultra-Durable. As close to “set it and forget it” as you can get! 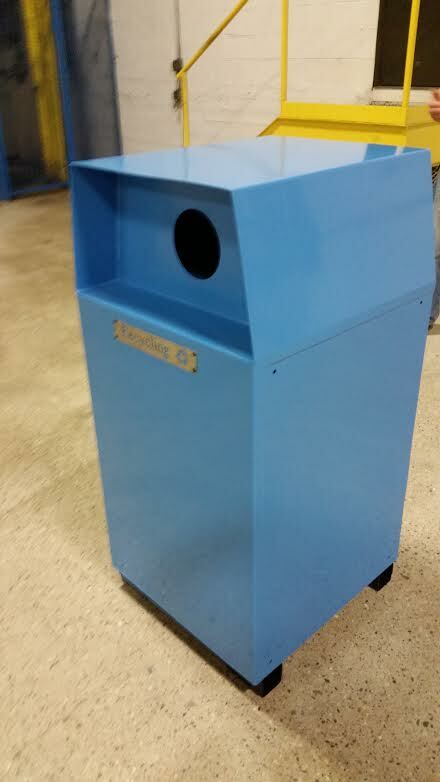 Protect your site and visitors with our bear-resistant trash and recycle bins below! Or find the perfect waste management product for your facility!